Berries are an important part of the New York State agricultural economy, and the state economy as a whole. Currently, berries – primarily strawberries, raspberries, blueberries, and blackberries – are grown in all but a few counties of New York state. More than 400 farms sell berries, whether wholesale to grocery stores and chefs or retail directly to customers through farmers’ markets, farm stores, and pick-your-own (U-pick) operations. About 23 percent of the state’s land area is used by farms to grow a range of fruits and vegetables, and the state is a leading agricultural producer in many categories. In 2016 and 2017, berries accounted for $6.5 million in sales, with strawberries leading the way with nearly $6 million in total sales. Blueberries followed at about $300,000, with raspberries and blackberries accounting for about almost $120,000. The berry-growing season in New York state is short. The season starts with strawberries, with the first fruits available in late May or early June and lasting until mid-July. Summer raspberries follow in July, with blackberries overlapping starting in the second week of the month and lasting through early August. 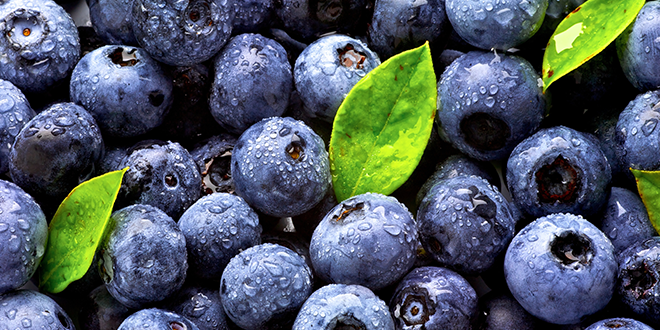 Blueberries have one of the longest growing seasons of all New York State fruits, with the earliest berries appearing in mid-July and, at some farms, growing all the way until early October. Fall raspberries generally start to appear in early August, and are available through October. To locate a farm in New York state that sells fresh, locally grown berries, visit Find a Farm directory. Or bookmark the blog for nutritional information, recipes, and original serving ideas.